Check out our fruit platters and cheese selection available for delivery to your office. We offer a whole fruit platter with favourites like apples, pears and grapes or a sliced fruit platter with a tropical selection of pineapple slices, sweet aromatic melon, strawberries and blueberries. Pair this with an indulgent cheese board which includes Red Leicester, Blue Stiltonand and Mature Cheddar Cheese — that's the office meeting sorted. If your office meeting goes on for several hours, then why not re-energise the attendees with our Indulgent Cheese Board that comes with all the favourites. Provided with Jacobs crackers and fresh grapes – you will definitely be ordering this again. It's the perfect touch to that raises the bar and provide variety for everyone in the meeting. 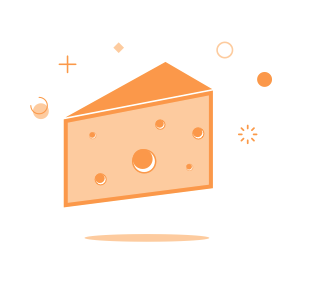 Let attendees mix and match from our high-end selection of cheese including French Brie, Blue Stilton, Red Leicester and Mature Cheddar Cheese. Alternatively, you could choose from a healthy, fresh fruit platter delivery that will arrive beautifully prepared, presented perfectly and ready to eat; a healthy start to the day or a refreshing accompaniment to that long meeting. Both presented differently; both equally as fresh; both ordered online and delivered to you. Whether you have fruit for breakfast, lunch or a mid-afternoon snack at work – you can’t go wrong! Because we prepare everything in our very own SALSA and BRC accredited kitchens we control the quality of our output. Say goodbye to mealy apples and dry tangerines, our fruit platters are guaranteed to be fresh, full and tasty. With our fruit platters on offer all season long, this can be the perfect platter to lighten up a cold winter day or give attendees the refreshing kick they expect from a warm summer's day (come on, they happen sometimes). View our selection of fruit and cheese platters online and check to see if we deliver to your office. Our delivery areas currently include areas in and around London including areas like Oxfordshire, Essex, Bromley, Chelmsford, Surrey, Welling, Kent, Middlesex, Hertfordshire, Belvedere,Waltham Cross, Kingston upon Thames, and many more.